I had a hard time selecting materials tonight. I ended up thinking still life. You have inspired me! Ive always loved mosaics! youve showed me that a can do it on a smaller scale. Please tell me how i can get the mosaic pieces. Where do you find yours? Thank you! 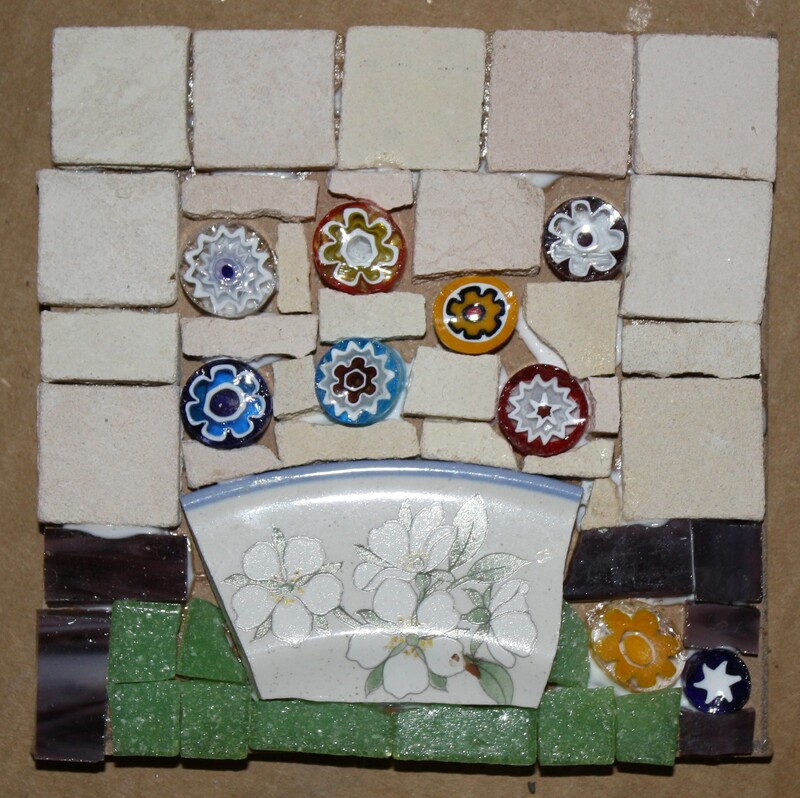 I’m so happy that you’re inspired by my mosaics and that you’re going to start creating! I get most of my supplies from either Monster Mosaics or Maryland Mosaics but look online that are lots of suppliers. Let me know how it goes.